Jet Set BL Carrier. Airline approved pet carrier. 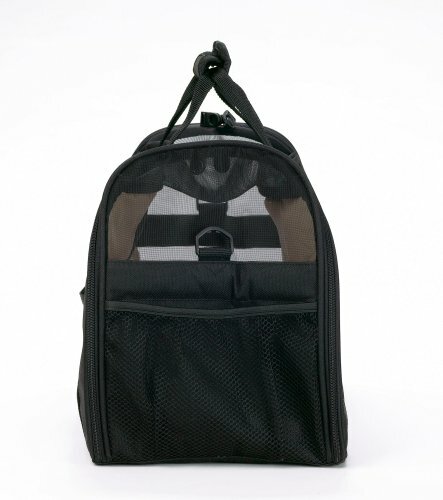 The stylish Jet Set pet carrier is now available in classic black and can be carried by hand, over your shoulder, as a back pack, or fixed to your car seat using the special straps provided. In-vehicle safety and restraint are a very important part of Jet Set design. It features claw-proof mesh windows and doors, and a safety leash to prevent your small pet from falling or getting out unintentionally. Available separately are a range of travel accessories to simplify train, bike, motorcycle and air travel in particular. Jet Set is airline approved. My cats just love this extremely soft carrier.